As expected, Netflix is spending more on original content than licensing third-party programming. While Netflix senior management has long championed original vs. licensed fare as evidenced by its indifference toward Disney’s decision to withdraw first-run movies from the streaming service – now there’s data to prove it. 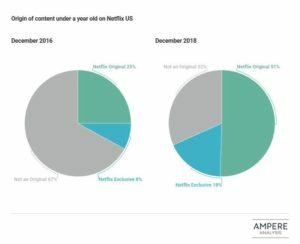 London-based Ampere Analysis found that 51% of domestic programming was original (proprietary and exclusive from studio partners) through the end of 2018 – up from 25% at the end of 2016. 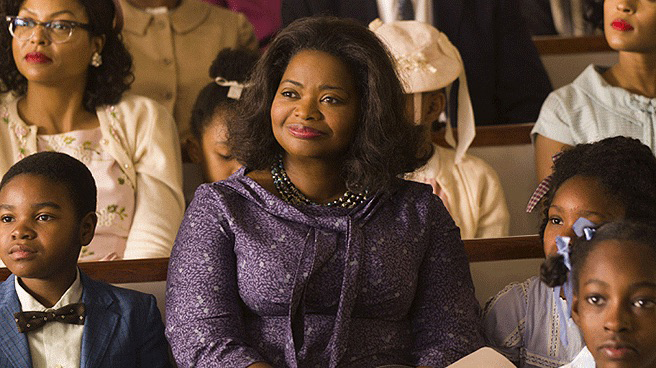 The research firm contends 30% of Netflix original content is studio based. 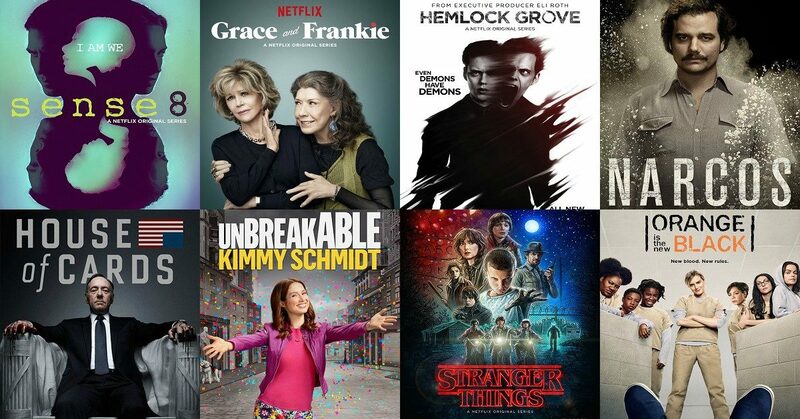 In December 2017, more than 3,000 titles available on Netflix U.K. were available in more than 15 Netflix markets worldwide. In December 2018 the tally had increased by 1,600 titles. “I’d say the vast majority of the content that is watched on Netflix [is] our original content brands,” CCO Ted Sarandos said on the fourth-quarter fiscal webcast. Ampere contends Netflix’s focus on proprietary programming will help the streamer when episodic content producers such as Disney/ABC Television, Warner Bros. Television and NBC Universal pull back popular shows such as “Grey’s Anatomy,” “Friends,” and “The Office,” among others. “This will position Netflix well in the market should other major studios follow in the steps of Fox and Disney and pull their content from SVOD services in advance of launching their own [direct-to-consumer] offers,” Towler said. The home entertainment industry was busy in 2018 in the shadow of ongoing major media mergers, as studios and distributors rejigger business models to reflect changing consumer habits domestically and worldwide. 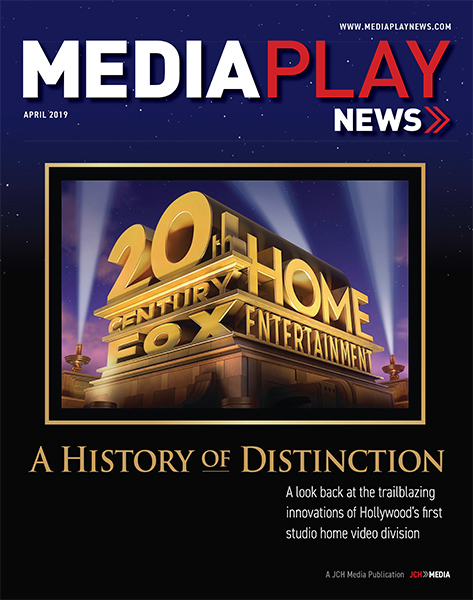 Here’s our annual recap of the year in home entertainment, as covered in Media Play News. DEG: The Digital Entertainment Group announced that home entertainment spending in 2017 increased 5.26% to $20.5 billion, from $19.5 billion 2016. As expected, gains came largely from digital (streaming video and transactional VOD), with total digital spending up nearly 20% to $13.7 billion. Ron Sanders, longtime home entertainment chief, added president of worldwide distribution for the entire Warner motion picture group to his duties as part of broader studio restructuring. Rollout of premium video-on-demand (PVOD) officially died after the CFO of the country’s largest theatrical chain said discussions with studios remained at an impasse. Speaking at Citi 2018 Global TMT West Conference in Las Vegas, AMC Entertainment CFO Craig Ramsey suggested negotiations with studios had cooled and that there was “no consensus” on PVOD. Netflix said it added a record 8.3 million net subscribers in the fourth quarter of 2017 (ended Dec. 31) to finish the year with more than 117 million subs, including 110 million paid subs. Two services emerged selling movie tickets via monthly subscription — a business model predicated on infrequent use. MoviePass, the New York-based service headed by Mitch Lowe, former CEO of Redbox, enables subs access to one theatrical movie per day for a $9.95 monthly fee, excluding 3D and in-theater dining. Cinemark, which operates nearly 6,000 screens in the United States and Latin America, launched Movie Club, an $8.99 service providing two monthly tickets. The service, unlike MoviePass, allows users to roll over unused tickets and grants a 20% discount on concessions. Consulting firm Deloitte reported 2018 began with about 375 million SVOD subscribers worldwide — a tally projected to increase further as traditional pay-TV operators expand over-the-top video platforms. Flixster Video shut down its website and discontinued all related operations in the United States. The site advised users to try other streaming video options such as Vudu.com and Movies Anywhere. Sony Pictures Entertainment rebranded its ad-supported Crackle streaming service to Sony Crackle. Hulu, the over-the-top video service co-owned by Disney, Comcast, Time Warner and Fox, ended 2017 with more than 17 million subscribers. 4K Ultra HD Blu-ray emerged as a packaged-media star in 2017, Sony’s Victor Matsuda, chair of the Blu-ray Disc Association’s global promotions committee, told an industry gathering at CES 2018. “Hollywood really got behind the new format,” Matsuda said. Warner’s It was the top selling DVD/Blu-ray for January, according to NPD VideoScan. Sony Pictures placed Keith Le Goy, president of distribution for Sony Pictures Television, in charge of the home entertainment division, replacing Man Jit Singh, who held the position for four years. Veteran entertainment executive Liz West, VP of global publicity at the Walt Disney Co., became EVP of marketing communications for international theatrical marketing and worldwide home entertainment at Paramount Pictures — a newly created position. Amdocs, a provider of solutions to communications and media companies, acquired Vubiquity, a provider of premium content services and technology solutions, in a $224 million deal. Facing an underperforming film slate, Paramount Pictures jumped at the chance to offload sci-fi drama The Cloverfield Paradox to Netflix, Viacom CEO Bob Bakish told analysts on the media company’s fiscal call. Subscription streaming video service HBO Now increased its subscriber base to 5 million, up from 2 million a year earlier. Redbox filed litigation in U.S. District Court in Los Angeles against The Walt Disney Co., alleging the company’s direct-to-consumer streaming strategy aimed at blocking the kiosk vendor from reselling Disney’s packaged-media digital copy codes. Theatrical ticket subscription service MoviePass topped more than 2 million subscribers, with CEO Mitch Lowe predicting 5 million subs by the end of the year. 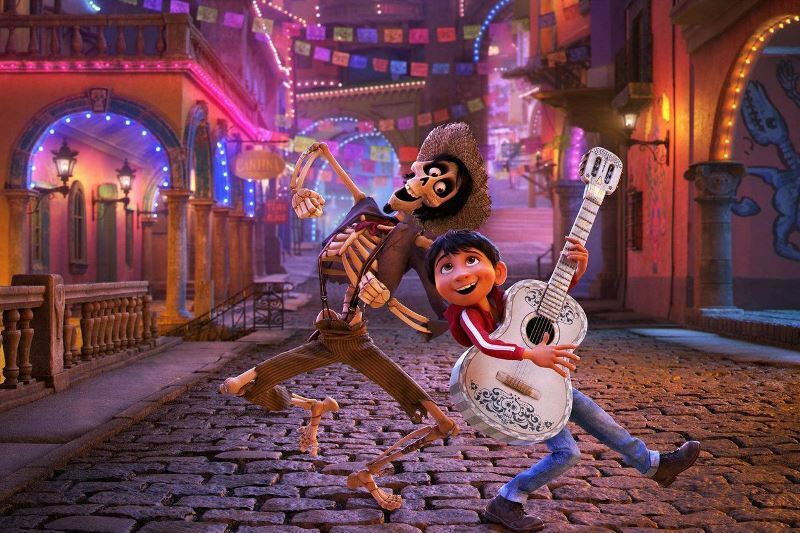 Disney’s Coco was the top selling DVD/Blu-ray for February, according to NPD VideoScan. Digital movie collection service Movies Anywhere added FandangoNow as its fifth digital retail partner, joining Amazon Prime Video, Google Play, iTunes and Vudu. Walt Disney Parks and Resorts chairman Bob Chapek assumed additional responsibility for all of Disney’s consumer products operations globally, including licensing and Disney stores, as chairman of the new Parks, Experiences and Consumer Products business segment. Carrie Dieterich, SVP of strategic initiatives at the Entertainment Merchants Association, announced her retirement after 24 years with the home entertainment trade association. Netflix said it expects to generate $15 billion in user fees in 2018 — almost twice the $8 billion it will spend on original content co-founder/CEO Reed Hastings said at a corporate tech event in Los Angeles. Tower Records and Video founder Russ Solomon, one of the most important retail figures in the home video industry, died March 4 at age 92 of an apparent heart attack while watching the Academy Awards. A TiVo survey of 3,000 consumers found usage of Redbox increased from 10% of respondents in the third quarter to 12.5% in the fourth in 2017. Lucasfilm announced that Jon Favreau would executive produce and write a live-action “Star Wars” television series for the Walt Disney Company’s streaming video service, which is expected to bow in late 2019. Indie distributor Shout! Factory partnered with China’s Ace Film HK Co. to acquire 91-year-old Roger Corman’s New Horizons Picture catalog of 270 movies and TV series. Known as “The Pope of Pop Cinema,” Corman is responsible for such titles as Death Race 2000, Piranha, Black Scorpion, Humanoids from the Deep and the 1960 Little Shop of Horrors, among others. Amazon Studios closed an exclusive first-look deal with Oscar-winning filmmaker Kenneth Lonergan, who won an Academy Award for Best Original Screenplay and was nominated for Best Director for Manchester by the Sea, distributed by Amazon. Billionaire entrepreneur Wayne Huizenga, who propelled Blockbuster Video into a national brand, among other businesses, died March 22 at age 80 following a long battle with cancer. Netflix added a record 7.4 million new subscribers in the first quarter (ended March 31) — topping Wall Street estimates of 6.5 million. The service added 5.4 million subs internationally, compared with 1.96 million (1.45 million forecast) in the United States. The first quarter of 2018 yielded positive results for studios due in part to top theatrical titles from the end of 2017 hitting retail channels. Spurred by packaged-media and digital revenue from Oscar-winner La La Land, Power Rangers, Tyler Perry’s Boo 2! A Madea Halloween and Wonder, Lionsgate reported a $67 million increase in home entertainment revenue for fiscal year 2018, ended March 31. Limited largely to catalog releases, MGM Studios Home Entertainment reported global revenue of $19.1 million for the quarter ended March 31, down 40% ($12.8 million) from revenue of $31.9 million for the previous-year period. Disney’s Thor: Ragnarok was the top selling DVD/Blu-ray for March, according to NPD VideoScan. Disney and subsidiaries Lucasfilm and Marvel Studios filed an amended claim in the U.S. District in Los Angeles alleging that Redbox is infringing copyright law selling digital codes to Disney movies obtained from the studios’ packaged-media releases. Theatrical ticket subscription service MoviePass and corporate parent Helios and Matheson Analytics acquired movie information service Moviefone from Oath, a Verizon subsidiary that has taken an ownership stake in MoviePass and will continue to sell Moviefone’s digital ad inventory. The Walt Disney Co. and Twitter announced an agreement to create live content and advertising opportunities across the entire Disney portfolio on the Twitter platform. IHS Markit announced that global digital pay-TV subscriptions, including cable, satellite, telecom and online TV, exceeded 1 billion for the first time in 2017. The milestone comes despite ongoing growth of over-the-top (OTT) subscription video services such as Netflix, Hulu and Amazon Prime Video. SVOD services, which continue to add three subs for every new pay-TV sub. Fox’s The Greatest Showman was the top selling DVD/Blu-ray for April, according to NPD VideoScan. Disney’s Star Wars: The Last Jedi takes over as the top seller for the year to date. Warner Bros. promoted longtime executive Jim Wuthrich to president of worldwide home entertainment and games. He reports to Ron Sanders, president of worldwide theatrical distribution and home entertainment. GameStop announced the appointment of Daniel DeMatteo as interim CEO following the sudden resignation of CEO Michael Mauler for personal reasons. Netflix CCO Ted Sarandos told the MoffettNathanson Media & Communications Summit in New York that the service’s subscribers won’t miss Disney original movies, which are migrating to Disney’s pending direct-to-consumer service. New research from Parks Associates showed that 6% of U.S. broadband households are likely to subscribe to an online TV service within the next 12 months, which would more than double the number of current subscribers. Cinedigm partnered with Gatherer Entertainment, an entertainment hub dedicated to providing curated content to women in the 35-54 demo, with hopes of launching the first-ever women’s lifestyle subscription streaming video service. Hulu, which announced it surpassed 20 million subscribers in the United States, signed a license deal with DreamWorks Animation, becoming the exclusive streaming home for future and catalog DWA movies starting in 2019. Amazon announced it exceeded 100 million Prime members globally since launching the loyalty platform 13 years ago. Prime membership includes free access to Prime Video, among other services. Mixed martial arts league UFC and The Walt Disney Co. announced a multiyear media rights agreement for 15 live UFC events to appear exclusively on new streaming service ESPN+, as well as across a variety of ESPN’s television, social and digital platforms, in English and Spanish. Trans World Entertainment Corp. lost $8.1 million for the quarter ended May 5, which was 56% higher than the $5.2 million loss reported in the previous-year period. Revenue dropped nearly 5% to $96.6 million. The company cited much of the loss on continued challenges in its f.y.e. (For Your Entertainment) mall-based home entertainment retail chain. Disney’s Black Panther was the top selling DVD/Blu-ray for May, according to NPD VideoScan. A federal judge June 12 gave the green light to AT&T Inc.’s $85 billion acquisition of Time Warner Inc., rejecting a Department of Justice argument that such a union would stifle competition and hurt pay-TV consumers by costing them more money to stream movies and TV shows. Time Warner was subsequently renamed WarnerMedia and folded into the telecom’s media business segment headed by John Stankey. The deadline for completing the deal had already been extended to June 21, after originally being set for October 2017. Looking to shake up its internal management structure, Hulu hired a new chief technology officer, its first chief data officer and realigned the subscription streaming video platform into four operating segments, among other changes. Notable in the reorganization was the departure of chief content officer Joe Stillerman and Tim Connolly, SVP of partnerships and distribution. AT&T announced plans for its new AT&T Watch TV service, a package of Turner channels available for free to AT&T wireless subscribers and $15 on other platforms. The Entertainment AIDS Alliance (EAA) changed its name to the Entertainment Aid Alliance to signify expansion into other charitable endeavors. The organization also added new leadership, including EAA president Jordan von Haslow, who took over the position in January from longtime president Sue Procko. Sony Pictures Television revamped internal operations to combine networks, distribution and home entertainment into single business units operating under separate territorial management and reporting to Keith Le Goy, president of worldwide TV distribution at Sony Pictures Entertainment. Redbox rolled out 4K Ultra HD Blu-ray rentals across more than 2,500 kiosks in six test markets: Los Angeles, Seattle, Austin, Detroit, Miami, and New York City. The UHD discs cost $2.50 per night, 50 cents higher than the rental rate for regular Blu-ray Discs (DVDs are $1.75). In a potential blow to MoviePass, AMC Theatres bowed AMC Stubs A-List, which gives subscribers access to screenings and movie reservations at any AMC location in any format three times per week for $19.95 per month. Parks Associates estimates the number of global households with an over-the-top video service subscription will exceed 265 million by 2022, spearheaded by Netflix and Amazon Prime Video. The S&P Dow Jones Indices added Netflix to the S&P 100, replacing Monsanto. The subscription streaming pioneer with more than 125 million global subscribers recently saw its market value rival Comcast and Disney. The U.S. Supreme Court ruled that states can levy a sales tax on e-commerce merchants regardless of a physical presence in the state, overturning a 1992 decision. The prohibition on taxing out-of-state e-commerce reportedly cost states $13.4 billion in revenue last year. Former president Barack Obama and Michelle Obama entered into a multiyear agreement to produce films and series with Netflix, according to the streaming service. The Obamas have established Higher Ground Productions as the entity under which they will produce content for Netflix. Apple signed a multiyear content partnership with Oprah Winfrey, “the esteemed producer, actress, talk show host, philanthropist and CEO of OWN,” the tech giant announced. Seeking to significantly upgrade the Starz brand globally, corporate parent Lionsgate licensed the premium channel’s app to YouTube TV and Hulu. The Walt Disney Co. shuffled executives and at the end of June shuttered animation division Disneytoon Studios, based in Glendale. Digital continued to drive consumers to spend more money on home entertainment, with total spending up 9% for the first half of 2018 from the first six months of 2017, according to the quarterly update from DEG: The Digital Entertainment Group. Lionsgate’s I Can Only Imagine was the top selling DVD/Blu-ray for June, according to NPD VideoScan. Apple added longtime BBC Films executive Joe Oppenheimer to its international content development unit. Oppenheimer reports to Jay Hunt, the former BBC and Channel 4 executive Apple hired last October to head it international TV unit. MoviePass parent company Helios and Matheson Analytics, after seeing its stock price drop to record lows below 20 cents per share, unveiled a series of financial moves intended to shore up the service’s loss-leader business model, which lets moviegoers see one non-premium movie a day for $9.95 monthly fee. A new agreement with Warner Bros. gives Redbox rental kiosks access to the studio’s Blu-rays and DVDs on street date, rather than the week- and month- long delays of previous deals. The agreement also maintains new-release and catalog availability via Redbox On Demand at first release. Verizon ended Go90, the ad-supported mobile-centric streaming video app launched in 2015 with much fanfare and hundreds of millions of dollars in investment. Despite the popularity of Netflix, Amazon and Hulu, nearly half the country isn’t willing to pay for a video subscription streaming service, according to a new study from Parrot Analytics. Streaming TV pioneer Roku introduced “Audience Marketplace,” allowing advertising buyers and sellers to more effectively target audiences on the Roku platform in the United States, according to the company. Struggling toy chain Toys “R” Us — once a significant player in the DVD/Blu-ray Disc and video game sellthrough market — closed the last of its U.S. stores. Adam Sandler and Jennifer Aniston, who teamed in Just Go With It, announce plans to reunite in Murder Mystery, due on Netflix in 2019. Reese Witherspoon’s Hello Sunshine production company announces it is bowing two reality-based series on a branded channel via AT&T’s DirecTV Now and U-verse platforms. Olympic Gold medalist Oscar de la Hoya’s Golden Boy Promotions signed a partnership with Facebook to bring ad-supported live boxing to the social media giant’s Watch streaming platform. Subscription VOD service CBS All Access extended an agreement to stream all “NFL on CBS” telecasts through the 2022 season. The Justice Department announced plans to appeal the federal court ruling giving the go-ahead to AT&T’s acquisition of Warner. Warner’s Rampage was the top selling DVD/Blu-ray for July, according to NPD VideoScan. Shareholders of The Walt Disney Co. and 21st Century Fox approved Disney’s acquisition of Fox’s entertainment assets, in a $71.3 billion exchange of stock and cash. The merger is expected to be completed in the first half of 2019. Heather Schuster, head of unscripted content at Amazon Studios, left the company after less than 12 months on the job, reportedly following an internal probe into her corporate behavior. Netflix CFO David Wells announces plans to step down after helping the company choose his successor. The search will include both internal and external candidates. Wells joined Netflix in 2004 and has served as CFO since 2010. Disney CEO Bob Iger announces the pending Disney streaming video service would focus on incorporating core brands, including Marvel, Star Wars and Pixar, in an effort to complement, and to a lesser extent, compete with services such as Netflix. Microsoft Movies & TV became the sixth retail affiliate of the Movies Anywhere movie ownership rights locker service, allowing film fans to sync their Microsoft account to Movies Anywhere and centralize their digital movies purchased from Microsoft alongside those purchased from other connected retailers. Netflix reportedly began testing streaming video ads of original content to select subscribers. The ads appear during binging sessions and other content viewing. Netflix said the house ads could be skipped and underscore the platform’s desire to expedite a user’s streaming experience with recommended content suggestions based on user data. Sony Pictures Entertainment was reported to be looking for a fiscal partner to help it expand Crackle.com, the ad-supported streaming video service it acquired in 2006 for $65 million. The NPD Group’s “Entertainment Trends in America” report is released, estimating that 17% of U.S. consumers relied solely on subscription video-on-demand services such as Netflix, Hulu and Amazon to view video content in the 12-month period ended March 2018, up from 11% in 2017. Meanwhile, 24% of consumers rely only on transactional methods — buying or purchasing content on physical discs or in digital formats, while 32% use a combination of transactions and SVOD. Go90, Verizon’s short-lived attempt at over-the-top video targeting millennials on wireless devices, cost the company $997 million. The telecom revealed the pre-tax charges, which included $339 million in severance charges, in its quarterly fiscal results. Former DreamWorks Animation CEO Jeffrey Katzenberg’s WndrCo holding company raised $1 billion in initial funding for “NewTV,” an app that aims to launch in 2019. Shout! Factory formed a distribution partnership with Sesame Workshop for the “Sesame Street” home entertainment library. Media measurement company Comscore announced it will bow a pilot program dubbed “campaign ratings” aimed at tracking audiences across linear TV and digital platforms with reliable audience demographics. Cinedigm Entertainment Group renewed its home video distribution deal with the Crown Media Family Networks, parent company of the Hallmark Channel, Hallmark Movies & Mysteries, and Hallmark Movies Now. Disney’s Avengers: Infinity War was the top selling DVD/Blu-ray for August, according to NPD VideoScan. A federal judge granted the Walt Disney Co.’s request for a preliminary injunction against Redbox selling digital codes to Disney movies, ruling that Disney’s amended language accompanying its packaged-media combo packs sufficiently prohibits private parties from selling copyrighted content without permission. Speaking at the Goldman Sachs 27th Annual Communacopia confab in New York, Bob Bakish, CEO of corporate parent Viacom, said Paramount is a very different place today — thanks in part to a trio of theatrical hits and increased television content production, among other initiatives. WarnerMedia announced plans to launch an over-the-top video service featuring Warner Bros. and HBO catalog content, in addition to Turner Sports fare. Helios and Matheson Analytics, corporate parent of fiscally challenged theatrical ticket subscription service MoviePass, sought to authorize a second reverse-stock split in another attempt to raise its stock price to meet the Nasdaq minimum of $1 per share. Warner officially launches the DC Universe Sept. 15 — Batman Day — anchored by superhero series “Titans,” based on the Teen Titans comic book. In a market increasingly dominated by subscription streaming, consumers still like to buy movies and TV shows on disc and digital formats, according to a report from Nielsen. New consumer research from Leichtman Research Group found that 69% of all U.S. households have a subscription video-on-demand (SVOD) service from Netflix, Amazon Prime, and/ or Hulu — up from 52% in 2015. Among those that have an SVOD service, 63% have more than one of these services — up from 38% in 2015. Overall, 43% of U.S. households now have more than one SVOD service, an increase from 20% in 2015. DEG: The Digital Entertainment Group announced the incoming board of directors for its 22nd year. Board officers, elected to a two-year term, include Comcast Cable’s Matt Strauss as chair; HBO’s Sofia Chang as vice chair, Paramount’s Bob Buchi as CFO, and Warner’s Jim Wuthrich as secretary. 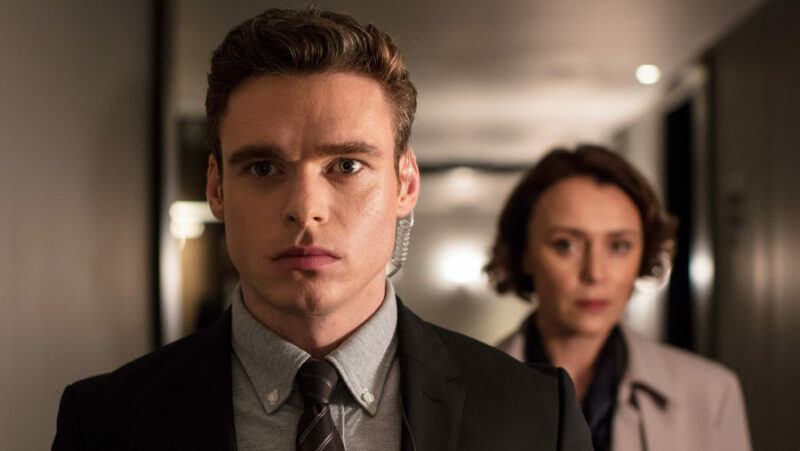 BritBox, the 18-month-old subscription streaming video service launched in the U.S. by BBC Studios and ITV, topped 400,000 monthly subscribers and is projected to reach 500,000 members by next March, according to BBC Studios CEO Tim Davie. Borrowing a page from its Amazon Channels, Amazon launched Storefronts — a platform giving Prime members access to more than 20,000 small and medium-sized retailers selling on Amazon. In 2017, more than 300,000 U.S.-based small and medium-sized businesses started selling through Amazon. The FandangoNow on-demand video service began offering Binge Bundles, a rental initiative offering multiple titles from franchises in more than 100 themed collections. Netflix added nearly 7 million global subscribers for the quarter ended Sept. 30, including 1 million in the United States — beating company projections and upping its global subscriber base to 137 million. Cinedigm’s Docurama streaming services launched on the Roku Channel. Streaming media device pioneer Roku lost $11.7 million in the quarter ended Sept. 30, widened from a loss of $7.9 million during the previous-year period. Revenue increased 39% to $173.4 million. Paramount Home Media Distribution’s revenue of $157 million for the quarter ended Sept. 30 was down 17% from revenue of $190 million in the previous-year period. Domestic revenue from sales of physical and digital movies and TV shows reached $103 million, compared with $118.5 million last year. International sales totaled $54 million, down 22%. The studio attributed the drop in part to timing of releases and product mix. For the fiscal year, sales of physical and digital content topped $622 million, down about 27% from $849 million a year ago. MGM Studios revenue was $21.8 million for the quarter ended Sept. 30, up 30% from the previous-year period. 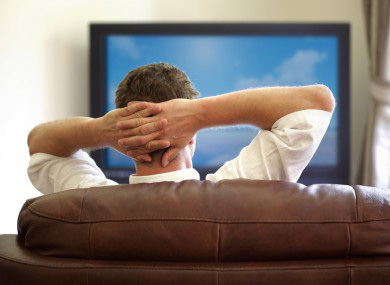 Television program home entertainment revenue increased 26% to $26.9 million. Consumer spending on home entertainment in the third quarter of 2018 rose 15% compared with the prior-year period, to an estimated $5.7 billion according to DEG: The Digital Entertainment Group. For the first nine months of the year, spending was at nearly $17 billion, an 11% year-over-year gain. Universal’s Jurassic World: Fallen Kingdom was the top selling DVD/Blu-ray for September, according to NPD VideoScan. New data from Digital TV Research projected 1.877 billion combined global pay-TV and subscription streaming video subscribers by 2023 — up 37% from 1.372 billion at the end of 2017. SVOD subs will more than double, but traditional pay-TV will add just 94 million subs. Walmart formed a strategic entertainment joint venture with Eko, a developer of interactive video technology. The initiative — dubbed W*E Interactive Ventures — expands Walmart’s entertainment ecosystem beyond its retail website, Vudu digital movie service and a new eBook platform. After losing out to Disney for the purchase of Fox’s studio assets, Comcast emerged victorious in its efforts to gain control of U.K. satellite TV operator Sky. Comcast outbid 21st Century Fox with a $40 billion offer for outstanding Sky shares in an auction mandated by British regulators. Redbox hired Chris Yates as GM for its Redbox On Demand digital video store, which launched in late 2017. Lionsgate signed Ron Schwartz to a new long-term agreement as president of Lionsgate Worldwide Home Entertainment and promoted marketing executive Amanda Kozlowski to EVP of home entertainment and digital distribution marketing. 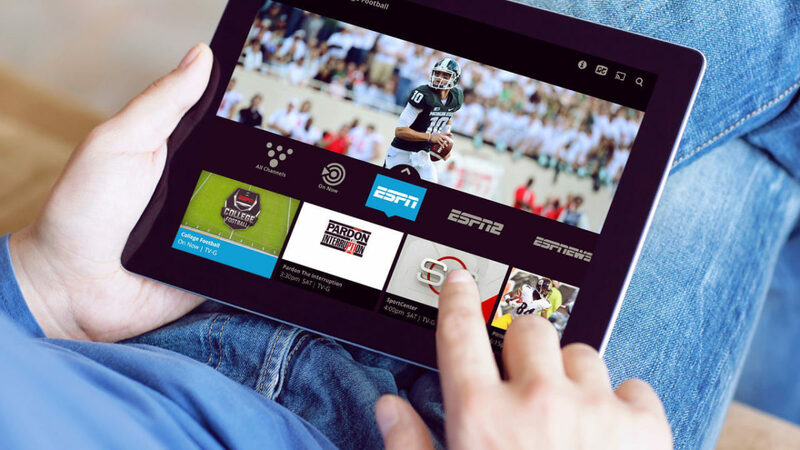 The Walt Disney Co.’s direct-to-consumer and international segment announced that subscription streaming video service ESPN+ surpassed 1 million paying subscribers since its April launch. The $4.99 monthly service ($49.99 per year) represents Disney’s first foray into branded standalone OTT video. Roku resumed sales of its streaming media devices in Mexico following a favorable court ruling. Roku had been banned since the summer of 2017 after allegations its devices enabled third-party hackers to create apps to pirate content. Satellite radio operator SiriusXM acquired streaming music operator Pandora Media in an all-stock transaction valued at about $3.5 billion. The transaction, which is expected to close in early 2019, creates the world’s largest audio entertainment company, with more than $7 billion in expected pro-forma revenue in 2018. Sony Electronics announced a collaboration with software company Connekt to let owners of select Sony Smart TVs and Blu-ray Disc players buy products directly through the television. Walmart-owned Vudu.com signed a deal with MGM Studios for original content to be made available on the transactional VOD platform’s ad-supported “Movies on Us” service. The deal includes exclusive North American access to original episodic series based on MGM intellectual property. BBC Studios Los Angeles and Lionsgate Television signed a first-look agreement to co-develop original scripted content for the U.S. market based on the BBC catalog. Lucasfilm begins production of “The Mandalorian,” the first “Star Wars” live-action series previously announced to be produced by Jon Favreau for Disney’s streaming service launching in 2019. Disney’s Ant-Man and The Wasp was the top selling DVD/Blu-ray for October, according to NPD VideoScan. Disney CEO Bob Iger said he wanted to expedite the home video window following the studio’s strong home entertainment results. “The home video window continues to be quite important to us,” Iger said. The pending Disney SVOD service is given a name, Disney+, and additional programming will include a second “Star Wars” series, based on Rogue One‘s Cassian Andor (played by Diego Luna), and a series based on Marvel’s Loki (played by Tom Hiddleston). Disney is also producing a live-action version of Lady and the Tramp for the service. DEG: The Digital Entertainment Group presented its second annual Hedy Lamarr Award for Innovation in Entertainment Technology to Emblematic Group CEO Nonny de la Peña. During the Nov. 6 4K Ultra HD Summit, DEG presented its inaugural Vanguard Award to Academy Award-nominated filmmaker Christopher Nolan . Digital TV Research estimates revenue from subscription streaming video services such as Netflix and other over-the-top video services would top $35 billion this year — up nearly 30% from revenue of $25.04 billion in 2017. Movies Anywhere celebrated its first birthday by touting its 6 million registered users, who have digital collections totaling 150 million movies, resulting in more than 1 billion minutes viewed. Fans have streamed more than 35 million movies on more than 100 different devices. The board of directors of Helios and Matheson Analytics approved a plan to spin off subsidiary MoviePass, the fiscally-challenged movie ticket subscription service. Online mega-retailer Amazon selected New York City and Arlington, Va., as the locations for the company’s new co-headquarters. Amazon announced expectations to invest $5 billion and create more than 50,000 jobs across the two locations. With Netflix sitting atop the global SVOD market with 137 million subscribers, co-founder and CEO Reed Hastings reiterated that the platform going forward would focus on paid subscribers rather than including new subscribers engaged in free trial service, which equates to about 7 million fewer subs. The FilmStruck streaming service from Turner Classic Movies catering to rare, classic, foreign, arthouse and independent cinema, shut down. The service launched in 2016 and was exclusive online streaming home of the Criterion Collection in the United States. Owner WarnerMedia also shuttered Korean-themed movie SVOD service DramaFever as part of efforts to consolidate its over-the top video strategy following its acquisition by AT&T. Criterion soon announced plans to start its own standalone streaming service in Spring 2019, which would also be available as an add-on to the pending WarnerMedia SVOD service. AMC Networks completed the $59 million acquisition of all shares of common stock in home entertainment distributor RLJ Entertainment not owned by founder Robert L. Johnson. RLJE is now a privately-owned subsidiary of AMC Networks, with Johnson and his affiliates owning a 17% stake. 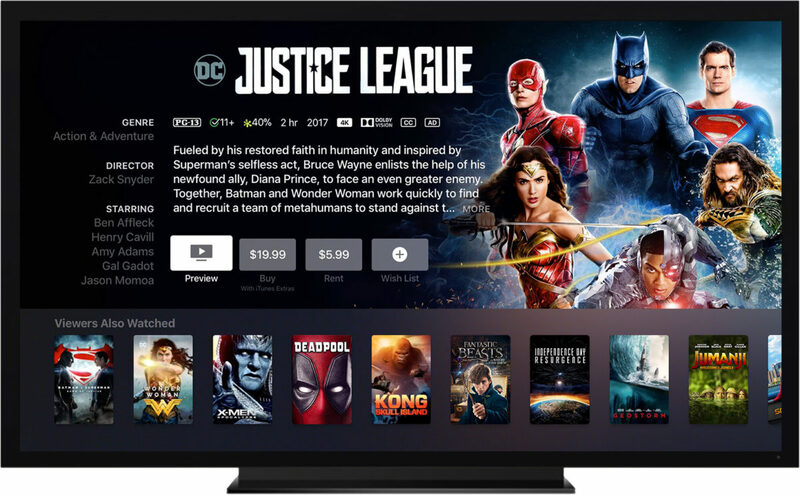 Reports indicate Apple is planning to launch an online TV service in more than 100 countries in the first half of 2019. The service would include original programming, in addition to third-party apps similar to Amazon Channels in the United States, Germany, Italy and the United Kingdom, according to com. Apple also announced Steve Carell would join Reese Witherspoon and Jennifer Aniston for its upcoming streaming service’s drama series about morning TV news. Netflix, Amazon Prime and Hulu, in that order, topped Parks Associates list of the top 10 subscription over-the-top video services in the U.S. market. Rounding out the top 10 were, in order, HBO Now, Starz, MLB.TV, Showtime, CBS All Access, Sling TV and DirecTV Now. Cinedigm added the martial arts platform Combat Go by JungoTV and the e-sports network Wham as linear offerings on the free, ad-supported Roku Channel. Both digital channels join Cinedigm networks The Dove Channel, CONtv and Docurama. Wham is also streaming on the Pluto TV service. TV Studios, a subsidiary of Viacom’s MTV, partners with Facebook to reboot reality TV trailblazer “The Real World” for three new seasons debuting in spring 2019. Cinedigm announced a partnership with Chinese streaming service Youku to distribute 30 original Chinese feature films in North America on all platforms including digital, DVD and Blu-ray, and OTT, with a primary focus on major streaming platforms and niche outlets. Digital retailer Google Play Movies & TV will automatically upgrade customers’ past movie purchases to 4K when available from participating studios, even if they were originally bought in SD or HD. Google Play also announced a price drop for 4K movies. Trans World Entertainment Corp., parent of f.y.e. (For Your Entertainment), had a net loss of $14 million for the quarter ended Nov. 3, compared with a net loss of $8 million a year ago. Revenue dipped $1 million to $90.8 million. Consumer foot traffic to brick-and-mortar retail stores on Thanksgiving and Black Friday resulted in a combined 1% decline for the two-day period compared to last year, with a 1.7% decline in traffic on Black Friday versus 2017, according to new data from ShopperTrak. Disney’s Incredibles 2 was the top selling DVD/Blu-ray for November, according to NPD VideoScan. In addition, Avengers: Infinity War moved into the top spot for the year-to-date top sellers, bumping Star Wars: The Last Jedi, which had held the spot for seven months. Disney titles topped the monthly chart six times and hold five spots in the yearly top 10. Digital movie collection service Movies Anywhere added Comcast’s Xfinity Digital Store as its seventh digital retail partner and the first pay-TV provider to join. The United States Court of Appeals for the District of Columbia Dec. 6 heard oral arguments in the Justice Department’s appeal of the AT&T/Time Warner merger. Justices expressed skepticism over the government’s concerns about the economic impacts of the merger. With 70% of Netflix programming streamed through the TV, the service is seeking to turn more of its 130 million global subscribers toward using its mobile platform. The SVOD pioneer is testing lower-priced subscriptions for mobile users in select markets, including Asia. Netflix topped global spending on original and licensed content with more than $12 billion in 2018. Following the mergers of Comcast/Sky and Disney/Fox, two of every five dollars spent on content in the United States will be spent by these four companies alone, according to new data from Ampere Analysis. DirecTV announced plans to roll out a proprietary streaming media device in 2019 that would enable consumers to access online TV service DirecTV Now using their own broadband or high-speed Internet connectivity. The device, which would be similar to a Roku or Apple TV, would help DirecTV reduce subscriber acquisition costs typically associated with the installation of pay-TV service. YouTube began offering catalog studio movies for free, including titles such as Legally Blonde, Rocky IV, Zookeeper and The Terminator, among others. The ad-supported streams appear alongside new releases promoted to buy or rent on YouTube.com and Google Play. Still smarting from its $1 billion write-down of the short-lived Go90 video app, Verizon is embracing high-band 5G spectrum, which claims to offer wireless network speeds 100 times faster than the current 4G spectrum, by helping to market third-party over-the-top video services — similar to what Amazon Channels does. Amazon Studios acquired rights to The Fighting Shirley Chisholm, with Oscar-winning actress Viola Davis set to co-produce and star in the title role as the first black woman elected to Congress. Chisholm served from 1969 to 1983. Separately, Amazon Studios reached an agreement with Jason Blum’s indie Blumhouse Television studio for eight darkly-themed feature-length thrillers to be released on Amazon Prime Video. Hulu and Funimation, a subsidiary of Sony Pictures Television, announced a multiyear partnership and output deal to significantly expand Hulu’s anime collection beginning in 2019. Amazon and Sinclair Broadcast Group are reportedly in early discussions about a joint bid to acquire the New York Yankees’ YES regional sports TV network. Comcast Cable began enabling Xfinity X1 subscribers to stream 4K video content on a compatible HDTV in their home. The Federal Trade Commission issued an alert to Netflix subscribers about an online phishing scam that attempts to extract personal information from unsuspecting subs, among other issues. On the strength of live streaming three of the biggest sporting events in the world — Super Bowl LII, the PyeongChang Winter Olympics, and Spanish-language coverage of the FIFA World Cup — NBC Sports Digital delivered its best year ever in 2018. DC Universe, WarnerMedia’s superhero-centric subscription streaming video service, was made available on Amazon Fire TV. AMC Theatres announced that its Stubs A-List subscription ticket service surpassed 600,000 subs since launching six months earlier. The nation’s largest theatrical chain had expected to reach 500,000 A-List members after 12 months. The most popular shows on Netflix in the U.S. come from other companies, despite the online streaming giant’s push into original programming, according to a new report by online media company Recode. Seeking to tap into apparent consumer demand for Spanish-language content from Spain in the United States, Spain’s public TV broadcaster, RTVE, is launching an over-the-top video service domestically, in Canada and Latin America. Amazon announced a record-breaking holiday season, with more items ordered worldwide than ever before. The e-commerce behemoth said consumers shopped at record levels from a wide selection of products across every department. Best-selling products this season included all-new Echo Dot home speakers and Bose wireless headphones, among others. It’s an over-the-top world, now with the box office living in it. New projections from London-based research firm Ampere Analysis contend global revenue ($46 billion) from over-the-top video platforms such as Netflix and Amazon Prime Video will supplant the worldwide box office ($40 billion) in 2019. With Netflix and Prime Video already driving SVOD revenue past the domestic box office in 2017, the trend is expected to repeat in the United Kingdom this year and in China in 2019. Surprisingly, Ampere found that SVOD subscribers remain frequent moviegoers, with subscribers attending theatrical screenings twice as often as non-subscribers. The ratio increased by a factor of three in Japan – despite SVOD services costing about half as much as a theatrical ticket. 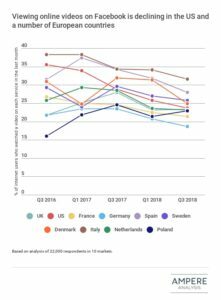 With the United States the birthplace of subscription video-on-demand, YouTube and other over-the-top video platforms, it should be no surprise that it leads Europe in the consumption of video on smart phones and TVs. But Europe is catching up, according to new data from Ampere Analysis. The London-based research firm found that 32% of broadband users in the U.S. streamed video on their smartphone in the third-quarter (ended Sept. 30) compared to 23% in Europe. Consumption of OTT video on the TV was 66% in the U.S. and 60% in Europe. Indeed, Europeans now consume more online video on the computer, including laptops and tablets (65%) than do Americans (61%). Ampere found that 47% of U.S. survey respondents preferred using OTT video platforms (19% very strongly) to watch movies and TV shows compared to 35% (11%) in Europe. “As [SVOD] continues to progress in European markets, the proportion of consumers who watch video on smartphones will rise, alongside the number of consumers who use online video services as their main way to watch TV,” said Walsh. 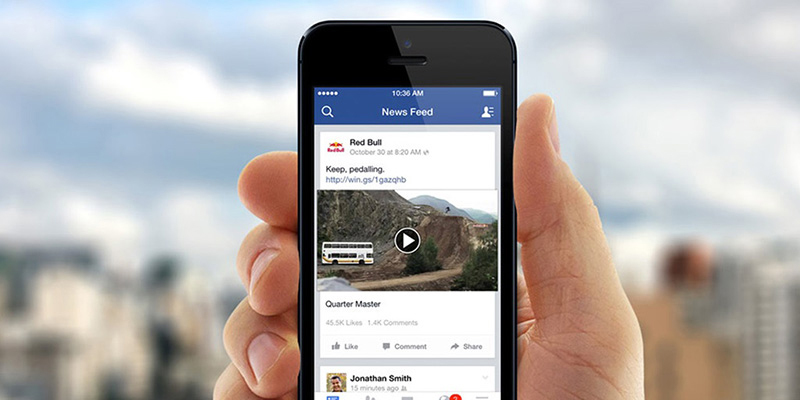 Despite a monthly global users base around 2 billion, Facebook users aren’t streaming much video, according to new data from Ampere Analysis. The London-based research firm found that video streaming among Facebook users in the United States dropped to less than a quarter (23.7%) in the third quarter of 2018, compared to 35.5% in Q3 2016. The social media platform also saw streaming video usage declines in Italy (down 6.7%) and Denmark (6%). In the U.K., which has seen ongoing video declines on Facebook since Q3 2017, reported a 1.6% uptick. Google-owned YouTube remains the No. 1 (68.3% usage) video platform in the world catering to an endless supply of third-party user-generated content, in addition to commercial product. No. 2 is Netflix (35.4%), followed by Facebook, Instagram (17.8%) and Amazon ranked fifth with 11.7%. “The apparent declining engagement with Facebook video is potentially symptomatic of some of the wider challenges Facebook is facing engaging younger audiences at the moment, and the impacts of the negative press surrounding the use of Facebook data in political campaign targeting,” Richard Broughton, director at Ampere Analysis, said in a statement. Indeed, on-demand video service Facebook Watch launched Aug. 10, 2017 featuring ad-supported original and third-party content. The service Oct. 16 bowed a new series from Whistle Sports, whose investors include NBC Sports and Sky Sports, dubbed “Famous Los and Filayyyy Show,” and featuring the two Instagram stars offering colorful insight on sports. The good news is that American consumers still covet movies. The summer domestic box office was the second-highest in history at $4.8 billion – erasing the gloom of 2017, which was the worst for theatrical revenue in 10 years. For industry markets, however, Americans remain fragmented in how they consume movies and distribution channels delivering them, according to new data from Ampere Analysis. The London-based research firm said movie distribution includes premium channels such as HBO, Epix, Showtime and Starz; buying/renting DVD and Blu-ray Discs; subscription streaming video; digital/pay-TV purchases/renting and theatrical. In a survey of 4,000 respondents, 71% said they subscribed an over-the-top video service offering movies; 51% frequent movie the cineplex; 37% buys packaged media; 32% subscribe to a premium movie channel; and 26% buy/rent digital movies. Ampere said 97% of people who went to movie theaters at least once in the last six months also have an SVOD service that offers movies. Another 54% have access to a premium movie channel; 45% purchase/rent DVD/Blu-ray/digital titles; 19% buy/rent packaged media exclusively; 8% rent/purchase movies exclusively online or through a pay-TV operator; and 5% only rent/purchase movies. SVOD-only respondents (those who don’t purchase or rent movies, visit movie theaters/cinemas or have premium channels) are now the largest category, at 15% of U.S. respondents, but there are a wide range of other access means in use. Half of domestic Web users visit movie theaters at least infrequently, while over a third buy or rent DVD/Blu-ray. Ampere said theatrical distribution is a key mechanism for reaching older consumers, who it claims are under-represented across all distribution categories relative to the average U.S. consumer. With Netflix reportedly spending upwards of $13 billion on original content in 2018, over-the-top video competitors Amazon Prime Video, Facebook, Apple and Google-owned YouTube are ratcheting up their content spend in an effort to remain competitive. Netflix has greenlighted more than 250 original titles – double the output from two years ago as Disney begins to pull original movies from the service for its own OTT ventures, according to Ampere Analysis. The London-based research firm said Apple, YouTube Premium (formerly You Tube Red) and Facebook have greenlighted 65 combined original productions, with YouTube slating 50 original shows by the end of 2019. Upstart OTT video services from Disney, Britbox and WarnerMedia’s DC Universe have disclosed original content forays – including 19 titles from Disney that include spin-offs High School Musical and Monsters Inc.
Sony Crackle, the ad-supported OTT video service, original content includes comedy “Accident Park,” and dramas “The Butcher,” “CAPO,” “The Row,” “RPM,” “The Transplant,” and “Tribes,” among others. “With so much new content being produced across a range of subscription services, [Apple, Facebook, YouTube] are under increasing pressure to create content that not only attracts new audiences but also prevents existing consumers from churning,” analyst Richard Cooper said in a statement. Specifically, Cooper said OTT players are increasingly opting for niche titles in an effort to differentiate themselves across different genres. Indeed, comedy is the most greenlighted genre, followed by science fiction. Apple TV’s high-profile content includes a reboot of Steven Spielberg’s 1980s anthology series “Amazing Stories,” in addition to “Are You Sleeping,” Oscar-winner Octavia Spencer and Aaron Paul (“Breaking Bad”); psychological thriller “Calls”; musical comedy “Central Park,” and “Dickinson,” starring Oscar-winner Hailee Steinfeld. 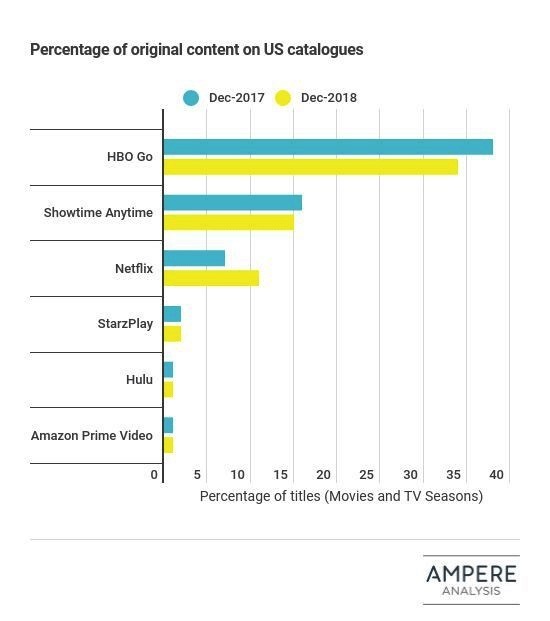 Ampere said Amazon is focusing on drama for 29% of its originals compared to 17% for Netflix. It said YouTube and Facebook have upped scripted content, with YouTube focusing on youth-orientated comedy. “They are shying away from reality content with just 6% of new commissions compared to 32% of their current catalog,” Cooper said. With Netflix having largest SVOD subscriber base in the United States and globally, conventional wisdom suggests the sharing of passwords among subs would be problematic. Not so, according to new data from Ampere Analysis, which contends sharing of passwords among Netflix subs is less than 10%. The report found that password sharing among Netflix subs remains low globally — even in regions historically rampant in content piracy. Ampere found that password sharing among Amazon Prime households (about 22% of U.S. households) greatly exceeds Netflix households (25%) — a factor the research firm attributed to Prime’s overarching ecommerce component. In addition, the report found that a vast majority of Amazon Prime and Netflix households (97%) are not multi-user streaming video households. “There is a widely-held belief that password sharing among Netflix homes is rife, but our data is telling a different story,” Guy Bisson, research director at Ampere, said in a statement. Moving forward, it looks as if password sharing is a fact of life for SVOD players, with Amazon too suffering from account sharing for its Prime Video service. 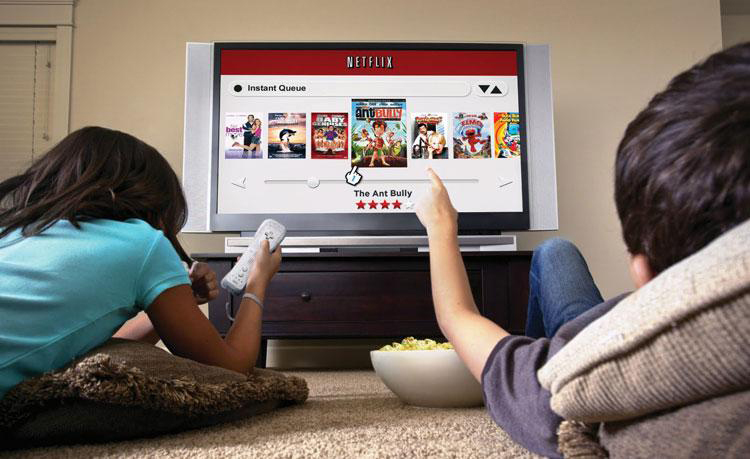 Bisson said the 9% password sharing among Netflix households represents a revenue opportunity for the SVOD leader. “Netflix has a potential revenue gain that can be switched on at will by locking down account sharing, but it’s more likely to be seen as an additional — and likely very effective — marketing and subscriber acquisition cost,” he said.